Scroll down or click the links below to go directly to what you need. Prices shown are for one item. If quantity is limited on any item, the quantity available will be shown in brackets ( ). See the difference between 8mm and super-8 film. Click The Links Above Or Scroll down this page to see all supplies. A number in brackets is the quantity I have in stock. No number means I have or can get all you want. I have belts only for the models listed below, however I can make older spring belts for most older projectors made before 1960. Give me the brand and model number and I can give you a price for the belts you need. Any belts or parts listed here are mint, unused old factory stock unless noted. I only have a limited number of parts and I only have what is listed. 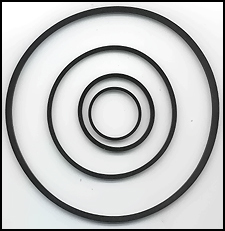 If your projector used a regular rubber belt, you can usually improvise by using ball bearing O-rings. They come in round or square sided. It's just a matter of trying different diameters until you find the right one. 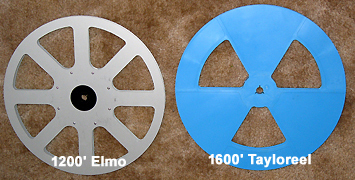 I have refurbished Elmo and Sankyo projectors for more than 20 years and compiled these belt sets from O-rings I discovered work best from trial and error testing. Please note that I can not be responsible if you don't know how to install them. I mean to sell them only to people that know how to install them correctly. 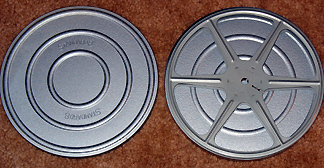 SUPER-8 REEL SPINDLE ADAPTER (22) - This is the spindle adapter that was supplied with the Bell and Howell Dual-8 movie projectors. 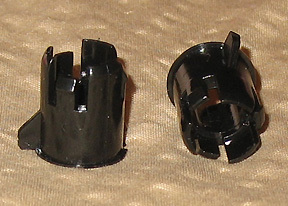 You put this adapter on any standard 8mm projector or viewer supply spindle and you can use any style super-8 reel on that projector. 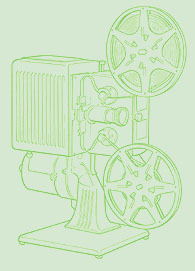 This is the perfect adapter that will work on almost any projector or any brand of super-8 reel. 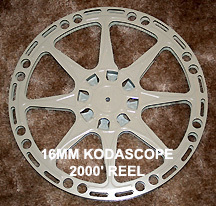 The adapter stays on the projector and not on the reel, so you only need one no matter how many reels you have. 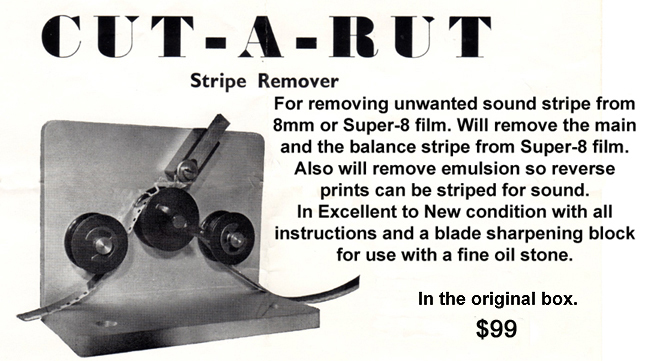 Note that this will not enable your "8mm only" projector to be able to run super-8 film. 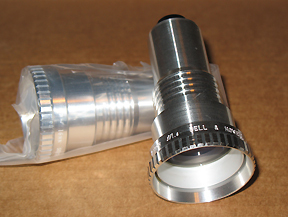 If you have a dual-8 projector of almost any make or model, this is the adapter to have to be able to use any style super-8 reel. 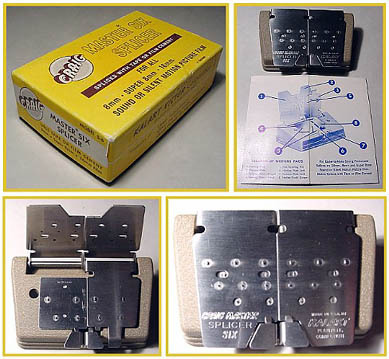 Pre-perforated tapes work fine on most brands of tape splicers. 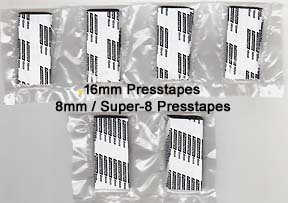 PRESSTAPES ARE ALL NEW FRESH STOCK.